Research on the wind environment variation improves our understanding of the process of climate change. 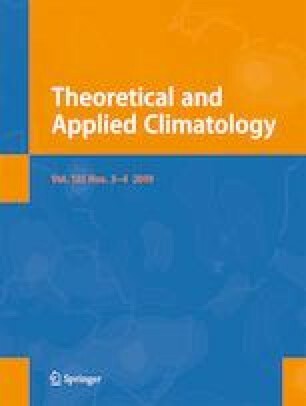 This study examines temporal variation of the near-surface wind environment and investigates its possible causes in the Mu Us Dunefield of Northern China from 1960 to 2014, through analyzing the meteorological data from seven stations and the land use and land cover (LUCC) change data with 100 m resolution. The wind speed had a widespread significant decrease with an average trend of − 0.111 m s−1 decade−1, although the rate of decrease differed seasonally. This negative trend was also found in the winds that were above a 5 m s−1 threshold, as well as the percentage of their days, which influenced the wind speed change more strongly. Overall, 88.69% of the annual decrease resulted from decreases in the maximum wind speed, and the percentage even reached 100% in autumn and winter. We further found that the drift potential decreased at decadal time scales, mainly focusing on three prevailing wind groups: the northerly, westerly, and southerly winds. This revealed the weakened East Asian monsoon and westerly circulation in the lower atmosphere. Against the context of climate warming, the decline of wind speeds in spring was closely related to the greenhouse gas, while the winter decline was closely associated with the aerosol or atmospheric dust. Moreover, the LUCC change showed the decreased areas of sand land and the increased areas of vegetation-covered land, which increased the ground surface roughness and was another reason for the weakened wind environment. We gratefully acknowledge the China Meteorological Data Service Center for the supply of meteorological data, and the Data Center for Resources and Environmental Sciences of Chinese Academy of Sciences for the supply of LUCC change data. This work was supported by the National Natural Science Foundation of China (41601002) and the Fundamental Research Funds for the Central Universities of China (GK201604011).